We believe stronger communities and careers are everyone’s business. 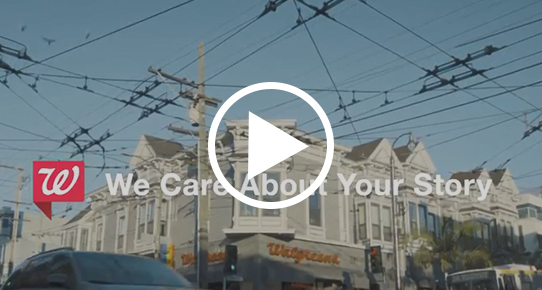 A career at Walgreens means joining a company that has been dedicated to our customers and communities we serve for over 100 years. And today and you’ll find that our people are just as passionate, committed, empowered, rewarded and supported as ever before. From every aisle of our stores to every hallway of our support center offices, we believe in providing our team members with every opportunity to do more and be more. Join us and you'll find the spirit of excitement and innovation alive and well as we encourage every team member to personally invest in our success and their future by developing better, more creative ways to approach their work, serve our customers, and engage with our communities. The result is a livelier, more dynamic, and healthier workplace for all. Our pharmacists and technicians are focused on building closer relationships with our patients the communities they serve. Our in-store beauty advisors help shoppers find the perfect shade of lipstick for a little boost of happy. And our online store and apps bring customers instant access to an endless aisle of products and advice. Our company culture is a testament to our dedication to helping everyone find their bit of health and well-being in their daily lives.